National Highways and Infrastructure Development Corporation is a fully owned company of the Ministry of Road Transport & Highways, Government of India. The company promotes, surveys, establishes, designs, builds, operates, maintains and upgrades National Highways and Strategic Roads including interconnecting roads in parts of the country which share international boundaries with neighboring countries. The regional connectivity so enhanced would promote cross border trade and commerce and help safeguard India’s international borders. This would lead to the formation of a more integrated and economically consolidated South and South East Asia. In addition, there would be overall economic benefits for the local population and help integrate the peripheral areas with the mainstream in a more robust manner.An approximate aggregate length of 10,000 kms has been identified to begin with for development through this company. The company envisages creating customized and specialized skills in terms of addressing issues like complexities of geographical terrains and addressing extensive coordination requirements with security agencies.The company would also endeavor to undertake infrastructure projects including but not restricted to urban infrastructure and urban or city transport and to act as an agency for development of all types of Infrastructure.The company envisages working towards cross sharing of technical know-how and enhancing opportunities for business development with other nations and their agencies including the multilateral organizations and institutions. The company also proposes to improve road connectivity and efficiency of the international trade corridor, by expanding about 500 KMs of roads in the North Bengal and Northeastern region of India to enable efficient and safe transport regionally with other South Asia Sub-regional economic Cooperation (SASEC) member countries. These projects are being funded by ADB (Asian Development Bank). Shri Yudhvir Singh Malik, IAS is Secretary of Ministry of Road Transport & Highways since June 2017. 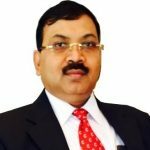 Mr. Malik previously served as the Chief Executive Officer of Food safety and Standards Authority of India from September 19,2014 to December 23,2015 under Department of Health and Family Welfare, Ministry of Health and Family Welfare. He has also served as Government Nominee Director at India Infrastructure Finance Company Limited since December 4, 2015 until January 2, 2017. Mr. Malik, an 83 batch Haryana cadre IAS officer, was earlier posted as special secretary in Niti Aayog. Mr. Malik has been Chairman of National Highways Authority of India since November 28, 2016. He is a recipient of the Prime Minister’s Award for Excellence in Public Administration for his outstanding contribution in the team initiative ‘MCA-21’. National Highways Infrastructure Development Corporation Ltd.
Shri Nagendra Nath Sinha IAS (JH-1987) took charge as Managing Director, National Highways & Infrastructure Development Corporation limited New Delhi on 07 August 2017. 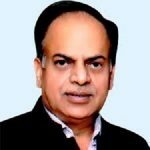 Prior to this, Shri Nagendra Nath Sinha , M.Sc ( Health Sciences, Johns Hopkins University), B.Tech ( Electrical, IIT Kanpur) was working as Additional Chief Secretary, Rural Development, Govt. of Jharkhand where he played pivotal role in organising rural poor, creating sustainable livelihood & employment opportunities & NRM based development. He has served in the state of Jharkhand in major departments including PWD, Mines, Industry , IT among others. He has to his credit several landmark projects in Jharkhand including Mega Sports Complex & Games Village at Ranchi, Ranchi Ring Road, State Data Center. He has also been instrumental in development of several policies and documents viz. PWD Code 2012, public private partnership policy etc. His major interests are in the fields of sustainable development, IT, Infrastructure, Health and Institution Building. 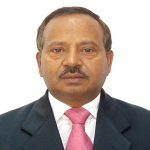 Mr. Satyabrata Sahu, IAS (Odisha – 1991) took charge as Director (Admin & Fin), NHIDCL New Delhi on 28th March 2018. He is an alumnus of IIT Roorkee and M.Tech in Applied Geology from IIT, Kharagpur. Embarking on his career from the State of Odisha Mr Sahu has served in various key positions including Secretary in various Departments in the State. In his 20 years of service in Odisha, he has played a pivotal role in various assignments in Agriculture, Transportation, Rural and Urban development in the State. Joining the Ministry of Drinking Water & Sanitation as Joint Secretary in 2013, he was instrumental in implementing the National Rural Drinking Water Programme (NRDWP) which aims at providing every person in rural India with adequate safe water for drinking, cooking and other basic needs on a sustainable basis. At NHIDCL, the major challenge would be catalysing the growth of the company and establishing the permanent cadre. In addition, he is aiming for better transparency through IT initiatives in the public domain and effective resolution of major impediments such as Utility Shifting, Land Acquisition and Forest Clearances for timely implementation of NHIDCL projects.